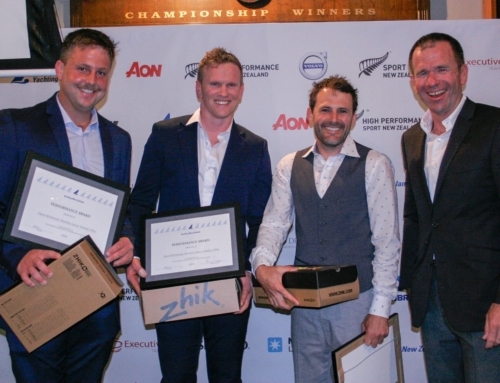 Adam Minoprio and his team of BlackMatch Racing have taken out the 2013 New Zealand National Keelboat Championship after two days of racing on the Waitamata Harbour. 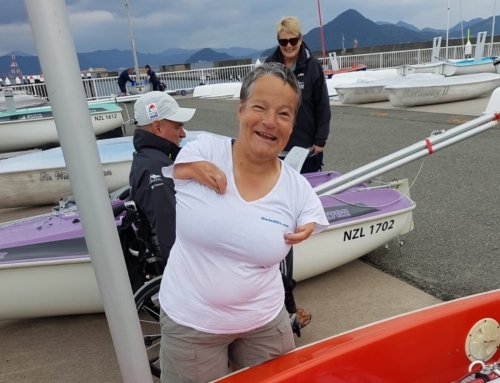 Racing was conducted by Royal Akarana Yacht Club and this year five elite teams registered to race in the prestige event, with the big guns of the New Zealand and International sailing scene making up the teams. Competed in numerous races/regattas including Dunlop Interpacific, Farr 1020, Young 88, Stewart 34′s and Lipton Cup races as skipper and crew. More recently been trimmer for Georgia Racing competing in Bay of Islands regattas, IRC Nationals, BMW Auckland regattas, Coastal Classics, Hamilton Island Race Week, Geelong Race Week, Sydney Rolex. Ten races were completed over two days with the only delay on Sunday morning. The Race Committee managed to get one race away before being forced to postpone for an hour while the breeze picked up and settled. Minoprio said that his teams win didn’t come easy. “David Wood and the Killer Racing team really gave us a hard time. They were leading after day one and we had to fight back hard to secure the lead. “It was incredibly tight racing and the conditions were tricky, but it was a great weekend overall,” said Minoprio. There were four protests over the course of the weekend none of which affected the results. The National Keelboat Championship has been running for 22 years and attracts the best sailors from around New Zealand and beyond. Adam Minoprio will be added to the honours board that includes names such as Russell Coutts, Rod Davis, Ray Davies, Grant Turnbull and Dean Barker, just to mention a few.